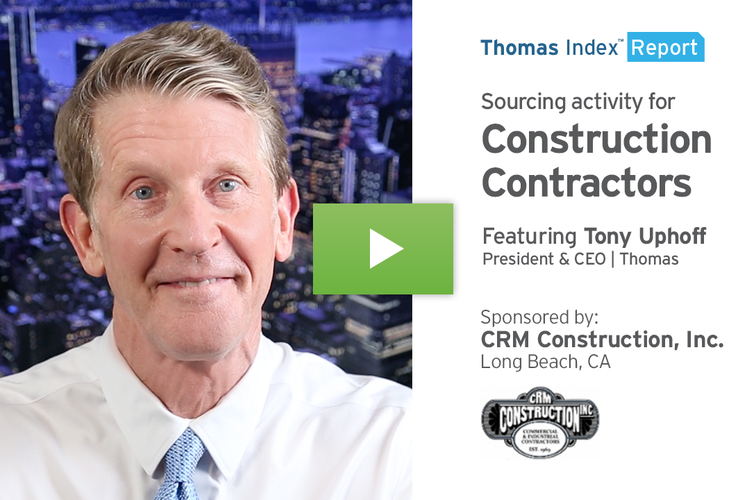 This Thomas Index Report is sponsored by Industrial Exchange. 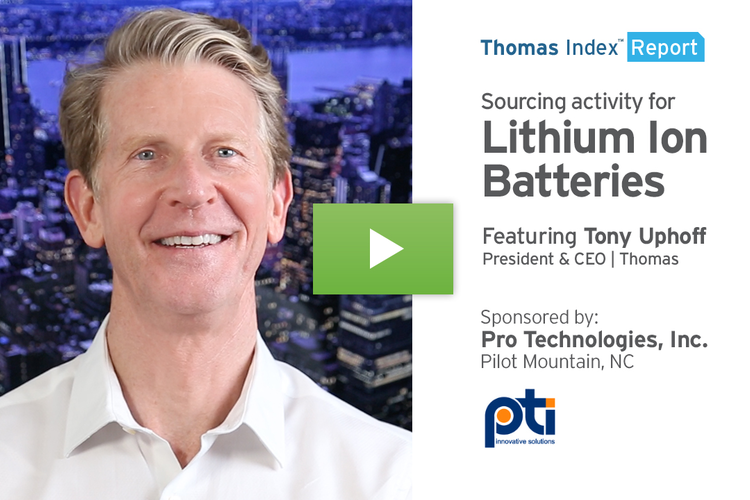 This May in Miami Beach, their IndEx 2019 conference will bring together America’s growing number middle-market industrial companies and their private equity fund owners. Hello. 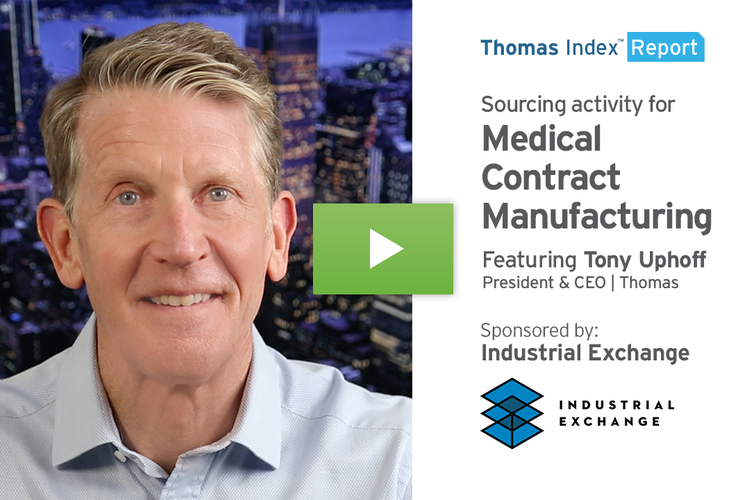 In this week’s Thomas Index Report, we’re going to take a look at sourcing activity for Medical Contract Manufacturing by users of the Thomasnet.com platform. 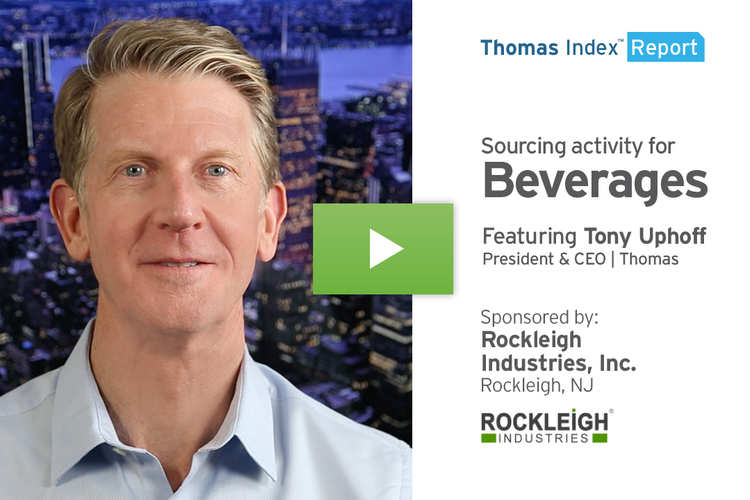 Our data shows that over the past six months, sourcing activity for this category is up 30% over its historical average. 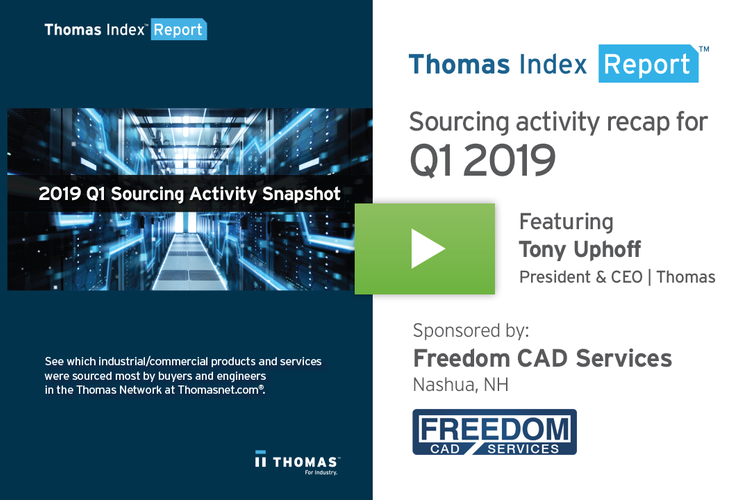 In addition, our data also shows that sourcing activity is up 7% or more in the related categories of Medical Equipment & Supplies, Used & Refurbished Medical Equipment, and Medical Disposable Products. The U.S. medical device market is the largest in the world, with Forbes recently calling it a “disruptive” market of $410 billion through 2023. “Disruptive” is an appropriate word, as rapid technological advances, innovation, and the entrance of dynamic small and medium startup companies continue to drive the industry forward. Many of those new medical device companies are turning to third-party contract manufacturers to keep their startup and internal costs down, and speed the time to market of their products. The medical device market is extremely broad, encompassing items as simple as bandages all the way through to ultra high-tech pacemakers. It’s at that high-tech end of the spectrum where device companies are also collaborating with outside vendors in areas such as microelectronics, biotechnology, telecommunications, software development, and more. Industry 4.0 is definitely impacting the medical world as well, where a growing number of connected devices and advanced systems and software that support medical-grade data combine to create the Internet of Medical Things, or the IoMT. With the huge baby boom population aging and requiring more health care, and with overall global access to medical care expanding, we expect sourcing activity to continue to rise for Medical Contract Manufacturing, as well as the broad spectrum of related categories. 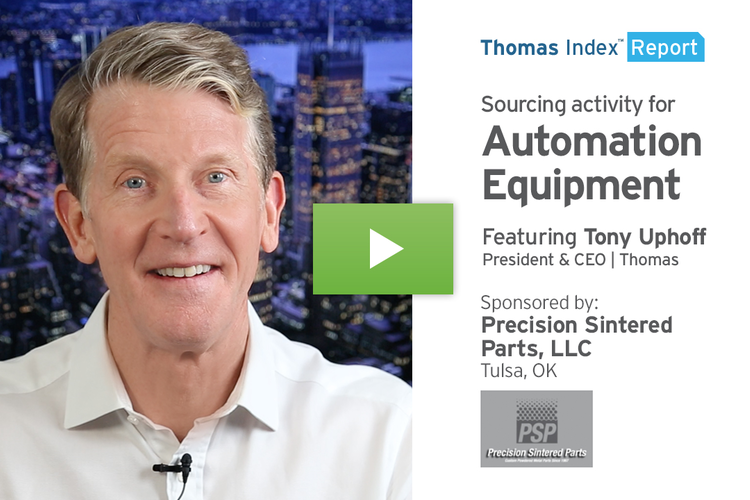 Moving on from Medical, here’s a look at the top 10 industrial product and service categories being sourced on the Thomasnet.com platform over the past four weeks.